Designed in 1939 for the Williamsburg restoration project. This is a reproduction of the original map. Noted images to Captain John Smith is all over the map for different entries: John Smith. Print Size: 11"x15". This is a reproduction of the original map. Print Size: 11"x14.5". You can find them in. Detailed Specifications. 1929 Map:San Fransisco. This is a reproduction of the original map. Shows block numbers, numbered piers, buildings in Golden Gate Park and the. 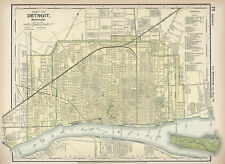 Includes inset map showing city and county boundaries. Print Size: 11"x13". 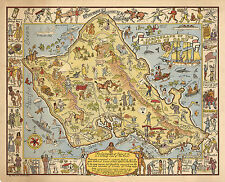 1936 Pictorial Map: Dogs of all Nations. illustration of how “the sun never sets on any portion of the earth where man’s. This is a reproduction of the original map. This map shows the geographical distribution of 164 of the world's dog breeds, at. C1922 Map of Longview, Washington: the city practical that vision built. Centered on Longview, Washington, showing all of western Washington state and portions of northwest Oregon. Longview is 50 miles north of Portland; 50 miles inland and 133 miles south of Seattle. This is a reproduction of the original map. -Is this available in a larger/smaller size. They are rolled and placed into a rigid tube. Bacon's 1890 New Map of London Divided into Half Mile Squares & Circles. Map of Victorian London, England. This is a reproduction of the original map. Map Size: 11"x14". Concentric circles radiate out from Charing Cross to indicate half mile distances from the city center. 1877 Map of the City of Nashville and Vicinity. Shows ward numbers and references. This is a reproduction of the original map. 16"x23" and 23"x33". Relief shown by hachures and spot heights. They are rolled and placed into a rigid tube. Pictorial map, divided into towns with explanatory text, showing illustrations of. At the bottom is an illustration of the royal procession at the State Opening of. A decorative compass rose in a box with yellow background at the bottom left. Rail and subway lines and piers shown in red. 1918 Pictorial Map of the Heart of New York. They are rolled and placed into a rigid tube. This is a Reproduction of the Original Map. 1922 Aeroplane Map of Sydney, New South Wales, Australia. This is a Reproduction of the Original Map. Map Size: 11"x16". Detailed Specifications. THIS IS A LARGE AND HIGHLY DETAILED MAP OF PARIS FRANCE CIRCA 1736. This will be printed in its full aspect ratio on high quality paper. I do not use cheap inks that will fade in a few months. The map extends past the matting. Beautiful gold inlay. Unbelievable quality. Shows two subway lines. This is a Reproduction of the Original Map. They are rolled and placed into a rigid tube. Print Size: 11"x15". 16"x21.5" and 23"x31". Relief shown by hachures. This is a reproduction of the original map. You can find them in. -Is this available in a larger/smaller size. Print Size: 11"x13". The verso contains information about the various trails and cover title. This is a Reproduction of the Original Map. 16"x20" and 23"x30". Print Size: 11"x14". You can find them in. Notes the only point in the United States common to four states, where the. GIANT historic 1705 PLAN DE PARIS CITY WALL MAP OLD ANTIQUE STYLE FINE art print. THIS IS A GIANT HIGHLY DETAILED MAP OF PARIS FRANCE CIRCA 1705. I usually carry 3 sizes Large, Huge, and Giant. THIS MAP HAS GREAT DETAIL SEE PHOTO BELOW. This is a reproduction of the original map. -Is this available in a larger/smaller size. This is a reproduction of the original map. Print Size: 11"x14". 16"x20" and 23"x27". This is a reproduction of the original map. Print Size: 11"x14". 16"x20" and 23"x29". Humorous bird's-eye view pictorial map of San Francisco. rose is drawn in perspective as if floating on the bay. Old Barbary Coast," "The Latin Quarter," "The Golden Gate Park," "The Bridges,". This is a reproduction of the original map. Gettysburg and vicinity. Constructed and engraved to illustrate "The war with the. "The war with the South". South" The War with the South. This is a reproduction of the original map. Print Size: 11"x14". Le Vieux Carre de la Nouvelle Orleans. Early Map of New Orleans Over a Span of Many Years. This is a reproduction of the original map. Map Size: 11"x16". 16"x24" and 23"x34". Detailed Specifications. 1853 Map of New Milford, Litchfield, Connecticut. This is a reproduction of the original map. 16"x18" and 23"x25". Border includes a harp and clover. 1851 Map of Ireland. 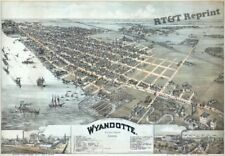 In outline color by county with illustrations of famous sites throughout the. This is a reproduction of the original map. Map Size: 11"x16". 1938 Decorative Map of the state of Maine "Old Dirigo". This is a reproduction of the original map. Map Size: 11"x15". 16"x22" and 23"x32". 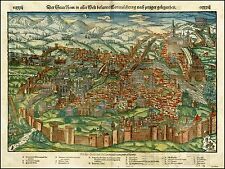 THIS IS A LARGE AND HIGHLY DETAILED MAP OF PARIS FRANCE CIRCA 1550. This MAP is a modern reprint and will be printed in its full aspect ratio on high quality matte paper. THIS IS A MODERN REPRINT PRINTED ON FINE MATTE PAPER. 1914 Map: Peter's San Francisco Locator. 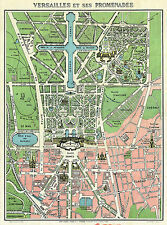 The Birds-Eye-View Map of the Exposition City. This is a reproduction of the original map. Map Size: 11"x14". 16"x20" and 23"x30". 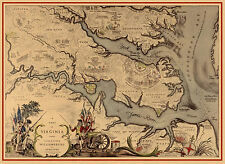 1840 US Coastal Survey Map of Chesapeake Delaware Bay Maryland Virginia. This is a reproduction of the original map. Map Size: 11"x16". 1772 Map - The division line between the provinces of New York (State) and Vermont with Québec (Province). This is a Reproduction of the Original Map. They are rolled and placed into a rigid tube. 1904 Map of the Yellowstone National Park. This is a reproduction of the original map. Print Size: 10"x16". Detailed Specifications. The Western Hemisphere in 1926. High-quality art print. Printed on heavy stock paper 100% Made in America. Paper size measures 12 x 18 inches Image size of 11.75 x 9.5 inches. THIS IS A GIANT AND HIGHLY DETAILED MAP OF PARIS FRANCE CIRCA 1864. THIS MAP HAS GREAT DETAIL SEE PHOTO BELOW. THIS WILL PRINTED ON FINE ART WATERCOLOR PAPER. THEARTTIST will not show up on your print.